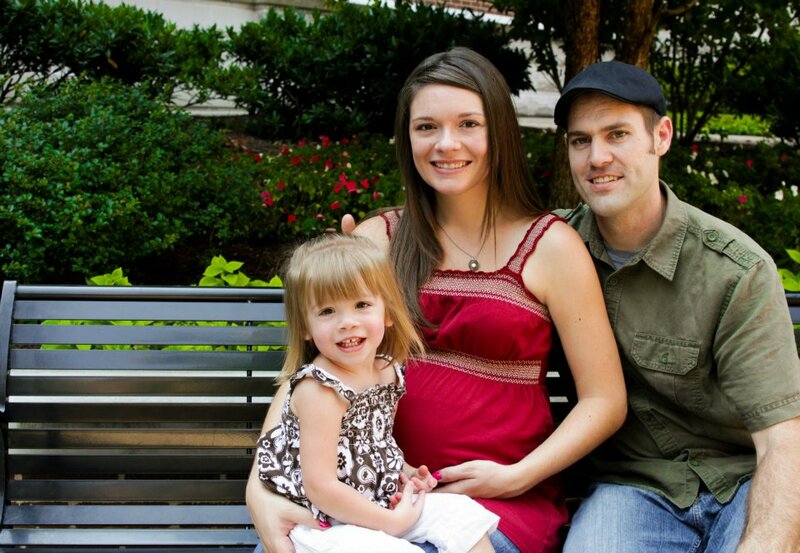 Michael and Jill Hewitt have invested in the ChristianMomTalk from the very beginning. Michael is the sound engineer for the podcast and Jill was the first one to specifically voice her desire to have a podcast for moms. Jill is a wife and a mother who is about to give birth to her second baby (it could be any minute). She sacrificially gave up a promotion at her job as an interior designer to stay home with her first daughter. She is a woman of faith who has turned to God to help her overcome the hard things in her life. Be encouraged as you listen to this interview. Oh my goodness, what a story! Thank you for sharing, Jill. I can not begin to know what you have experienced emotionally this year. But I do know that God is going to use you to encourage many moms! Jill, thanks for sharing your story! It is very inspiring and encouraging. God’s been teaching me that same thing, that he is always, always good no matter what is going on around me AND that he is always, always faithful. Sorry for the loss of your mother though. Healing is a journey, but God is in the healing business! He loves you so very much and loves your heart towards Him. And I agree with Sarah that God is going to use you to help so many people walk through difficult situations. Thanks for sharing your story Jill! You are such an amazing woman and God is using you mightily for his kingdom purposes! Such an amazing testimony of Gods faithfulness! Your life is such an inspiration to so many others Jill! Such a powerful story of God’s grace in your life, Jill!